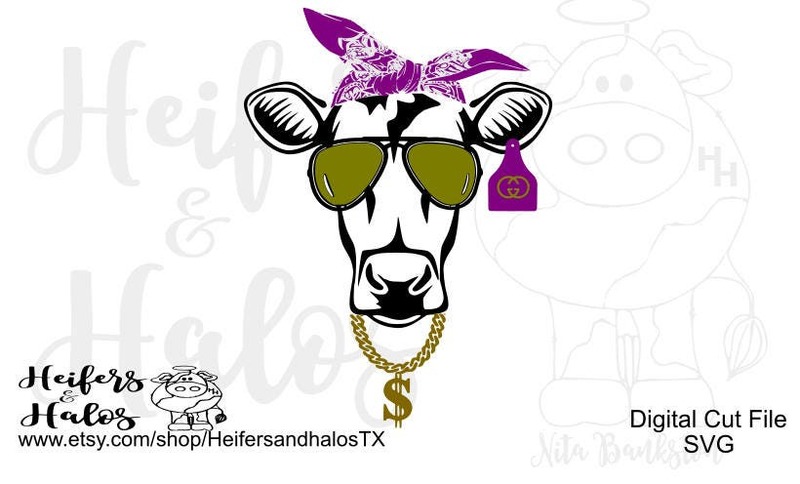 BANDANA HEIFER WITH SWAG -sunglasses lenses, ear tag, bandana color, cow color, may be edited by the purchaser. I made a shirt and added Hay GIRL Hay to the design. I love it.